You’ve been accepted and we look forward to welcoming you as the UH Maui College family. Returning students: In order to start taking classes, first, you need to REGISTER. Follow the checklist below to get you started. New students: New Student Welcome Event, also known as orientation, is for students who are new to UH Maui College. In order to ensure you are prepared, please complete the items below before attending the New Student Welcome Event. If you’re an Early College (Dual Credit, Running Start) student, you may have different requirements. In case of doubt, call (808) 984-3267 or 1 (800) 479-6692 toll-free. International students, please contact uhmcar@hawaii.edu or call +1 (808) 984-3267. Go to www.hawaii.edu/username to create or reactivate your UH username. In your acceptance notification, you should take note of your UH ID Number (ex: 23254658). Your UH username will be your email address like so: [username]@hawaii.edu. Your MYUH dashboard connects you to services from our 10-campus system across the state. 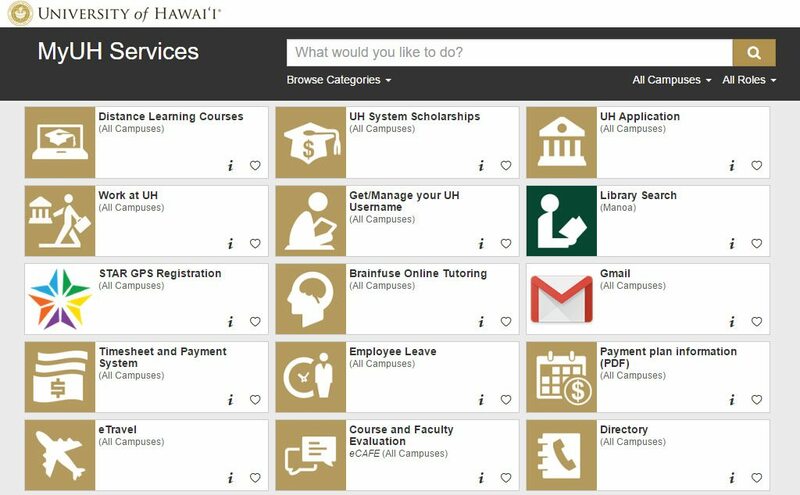 Go to myuh.hawaii.edu to access online services. Click on “STAR GPS” from your MyUH Services dashboard to review your student record (the login is the same). On the top right of your dashboard, click on your name to view your Student Information, such as name, birth date, address, residency status, program major. Please take note of your “holds” under your Student Information. Holds prevent you from registration. If your residency classification is nonresident for tuition purposes, please review the Hawaii Residency Requirements and take note of the 6-credit enrollment policy. Report any discrepancies or questions about holds under your Student Information to Admissions & Records at Hoʻokipa Building, call 984-3267 or email uhmcar@hawaii.edu. Complete this HEALTH CLEARANCE FORM. Students are required to have a negative Tuberculosis (TB) Test result within one year before the start of classes. There is also a Measles, Mumps, Rubella (MMR) portion in the form. The form has a list of health centers where you can do the testing. 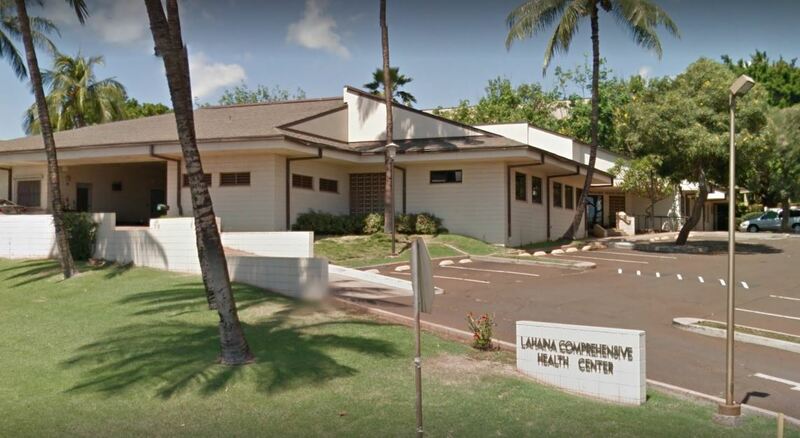 WALK-IN: UHMC Health Center. Here’s a campus map. (It’s located in Pilina Building) Call (808) 984-3493 for assistance. 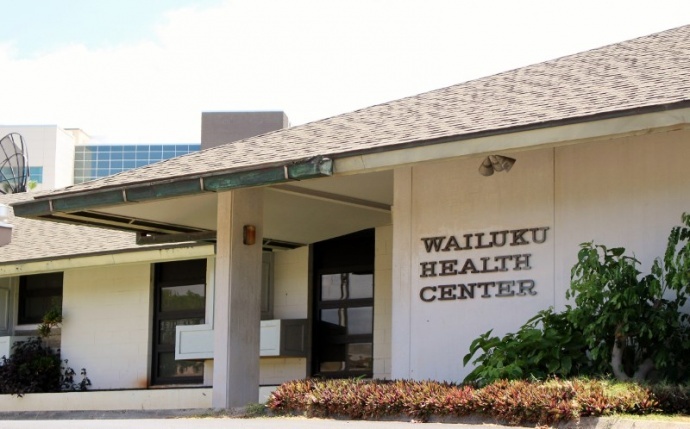 WALK-IN: You can also submit your Health Clearance to Admissions & Records at Hoʻokipa Building. Open Tuesdays & Thursdays from 2-4 p.m.
Open every first Tuesday or Thursday of the month from 1:30 – 2:30 p.m.
Tests are available Tuesdays from 2 – 4 p.m., result readings on Thursdays from 2 – 4 p.m.
Open Mondays and Wednesdays from 8 a.m. to 7:30 p.m., Tuesdays, Thursdays and Fridays from 8 a.m. to 5 p.m. and Saturdays from 8 a.m. to 3 p.m.
Open Monday to Friday from 8 a.m. – 5 p.m.
Open Monday to Friday from 7:45 a.m. – 4:30 p.m.
Go to maui.hawaii.edu/financial to apply for financial aid. The page includes forms to apply for Free Application For Federal Students Aid or FAFSA, and other requirements. Scholarships are also available at maui.hawaii.edu/scholarships. Stay on top of your requirements and deadlines to make sure you can take advantage of resources available to you! Tip: UH Maui College’s FAFSA code is: 001615. Need to consult with a live person? Visit Financial Aid at Hoʻokipa or call (808) 984-3277. For scholarships, visit the Educational Opportunity Center (EOC) at Hoʻokipa or call (808) 984-3286. Before Counselors can recommend what classes you need to take, first we need to know what you’re interested in. Take the Career Quiz and present your results to your Counselor. We are excited to help you succeed on this new journey. 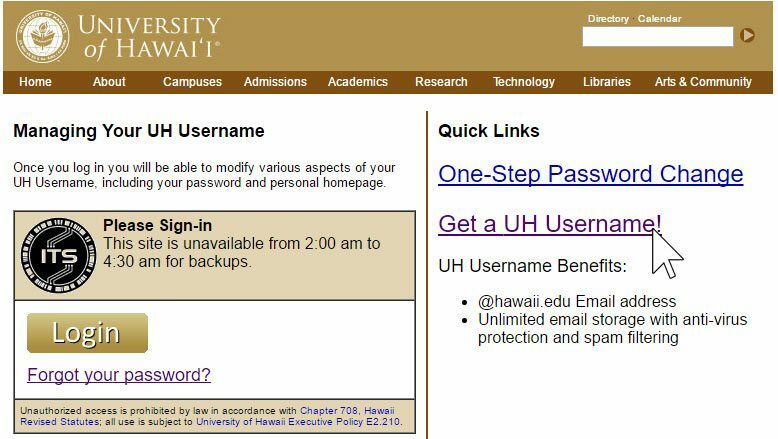 Log into MySuccess with your UH username and UH password. This Intake is designed to help us provide personalized success plan. Your honest responses to those questions will help us provide you with information and early support. The survey will take 5 minutes to complete. Here’s a “How-to” video to complete your survey. Make an appointment with your Counselor to help you register for classes. In addition, your counselor can determine your transcript and placement testing requirements, if any. Kahului campus students: Call (808) 984-3306 to make an appointment with a Counselor. Molokai & Lanaʻi students: Contact Susan Nartatez or by phone (808)553-4490 (ext. 3). Go to maui.hawaii.edu/transfer-credit and complete the Transfer Evaluation Request Form. If you attended college outside the University of Hawaiʻi system, request official transcripts from your previous campuses. Students with Advanced Placement (AP) and military credits may receive college credit. Submit your Transfer Evaluation Request Form to uhmcar@hawaii.edu or in person at Admissions and Records. Please contact (808) 984-3267 for further assistance. Visit The Learning Center (TLC) to take the test. The Accuplacer Placement Test is given weekdays at TLC. If you already took a placement test, consult with your counselor. Students may use their SAT, ACT, Smarter Balanced, HiSET and GED scores, as well as their High School cumulative GPA and grades for English and Math placement. Call TLC at (808) 984-3240 or visit the Testing Center. Call (808) 565-7266 to arrange test date and time. Call (808) 553-4490 (ext. 1) or view scheduled test dates and times. Login your MyUH Services dashboard to pay for your tuition and fees. In addition to Financial Aid support, we also offer an installment plan. Review the academic calendar for deadlines. Pay to stay, Drop to stop: Students without a payment plan who are unable to pay their tuition & fees, must drop their courses by December 14 (4:00 PM HST) deadline to avoid further financial obligations. Failure to attend classes does not constitute dropping and will result in academic penalties (“F” grade). Once you’re all set, don’t forget to visit the UHMC Bookstore to start shopping for your supplies and UHMC swag! Beat the Rush! Students who have registered for classes can use your own photo for your ID Card using the Online ID Form, or obtain at the Admissions & Record’s Office in Ho‘okipa Building. Learn more at Get Your UHMC ID Card website. 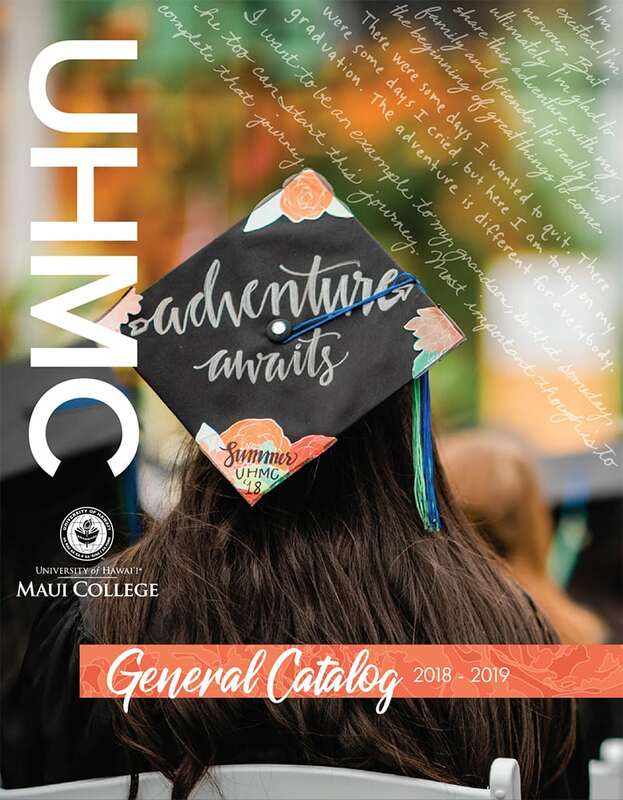 Review UH Maui College General Catalog. For important policies, rules & regulations, deadlines and other pertinent information, refer to the catalog and the Academic Calendar. Go to maui.hawaii.edu/fye to check out the activities that are designed for first-year students! New and transfer students beginning their studies at UH Maui College are encouraged to participate in as many activities as possible that are designed specifically for you. The entire campus is dedicated to providing you with an opportunity to meet staff, faculty, and students who will be resources to you during your time at UHMC. 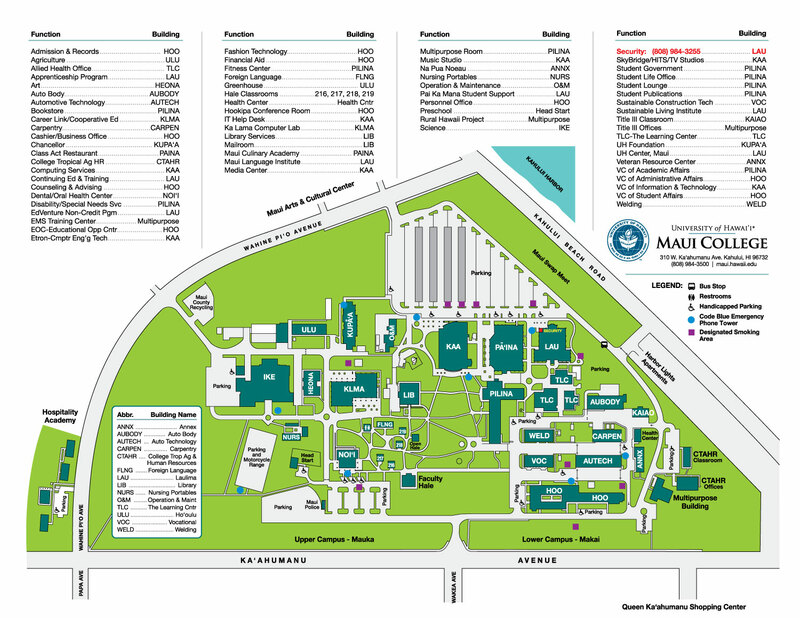 We are thrilled to welcome you all to UH Maui College and join you as you embark on your new journey. You will get to learn about various campus resources and peer mentors will be ready to answer your questions. Molokai & Lanaʻi students: Please contact Susan Nartatez at snartate@hawaii.edu or phone (808)553-4490 (ext. 3) for more information. Welcome to the UH Maui College ‘ohana.